After the success of the first Pwnium competition held earlier this year, Google has announced the second Pwnium competition; in this Pwnium 2, Google had increased its bug bounty offering to security researchers. This time it’s putting a total of $2 million in rewards on the table for anyone who can find bugs in its browser, exploit them, and tell Google’s security team the details of their techniques. The Pwnium 2 will be held on Oct 10th, 2012 at the Hack In The Box 10 year anniversary conference in Kuala Lumpur, Malaysia. Google is offering up to $60,000 for a single working Chrome exploit. While several other companies including Mozilla, PayPal and Facebook offer bug bounties, none publicly offers such a high sum. $60,000: “Full Chrome exploit”: Chrome / Win7 local OS user account persistence using only bugs in Chrome itself. $50,000: “Partial Chrome exploit”: Chrome / Win7 local OS user account persistence using at least one bug in Chrome itself, plus other bugs. For example, a WebKit bug combined with a Windows kernel bug. $40,000: “Non-Chrome exploit”: Flash / Windows / other. 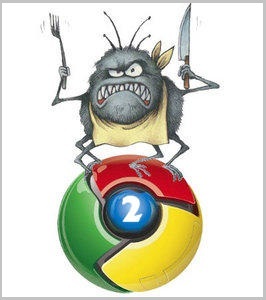 Chrome / Win7 local OS user account persistence that does not use bugs in Chrome. For example, bugs in one or more of Flash, Windows or a driver. $Panel decision: “Incomplete exploit”: An exploit that is not reliable, or an incomplete exploit chain. For example, code execution inside the sandbox but no sandbox escape; or a working sandbox escape in isolation. For Pwnium 2, Google want to reward people who get “part way” as we could definitely learn from this work. Google rewards panel will judge any such works as generously as they can. Exploits should be demonstrated against the latest stable version of Chrome. Chrome and the underlying operating system and drivers will be fully patched and running on an Acer Aspire V5-571-6869 laptop (which we’ll be giving away to the best entry.) Exploits should be served from a password-authenticated and HTTPS Google property, such as App Engine. The bugs used must be novel i.e. not known or fixed on trunk.